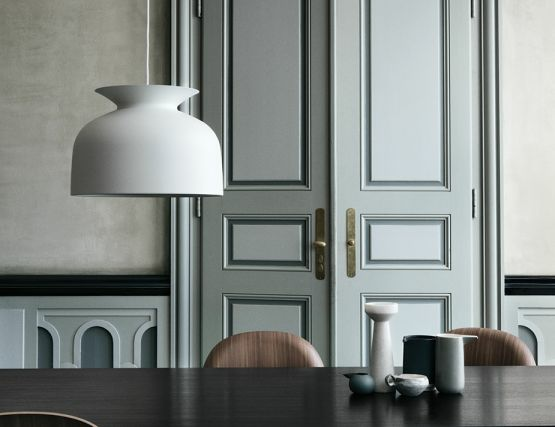 The Ronde Pendant Large by Gubi is a unique pendant lamp with an opening at the top and an overhanging collar that is suggestive of a beautiful jar such as a vase or an amphora. The light is directed downwards, but also spreads out of the spout-like opening and casts a smooth light gradient over the wire and ceiling. The hand-turned aluminum lamp shade with an ultra-matt lacquer almost appears as if made of ceramic.